Today is all about art! People have used art as a way to express themselves, to put some imaginative notes to the random reality. Nowadays we have so many platform to do this and the WordPress is one of the best ones by far. It allows you to set up and develop an impressive website in a very short amount of time. If you are a musician, a painter that want to showcase the paintings, a designer that want to let the world know what can be done with the power of the creative mind, a simple art addict, or someone whose passion is the Beautiful and escaping side of reality, these themes will guarantee you the most flexible layouts to make your works stand out. You don’t have to be a programmer, the theme authors have worked hard to give the best possibilities, for you to express your kind of art. Enjoy! Aqura is one of the best and most popular music/bands themes, relatively new to market. It is loaded with useful blog post styles like Event, Discography, Artist, Sliders as well as others, all which have actually been thought out as well as enhanced for implementation as well as music related sites. It compliments an unique style of pages parallax, very innovative and appropriate for this type of websites. The premium theme is ideal for authors, artist, musicians and creative to display their personal work. Aqura is nicely designed and modern like with a concentrate on wide screen media.It is fully responsive and also streams smoothly on computers and various types of smart phones. Some Features/Plugins : woocommerce, BandsInTown plugins, featured player, custom widgets, music albums, addThisSocial share plugin, WPML, royal slider, fully customizable, social media sync, SEO, radio stream, video tutorials, child theme, great support. The Simple is the newest MultiPurpose Business Theme on the market. An incredibly gorgeous, exceptionally visually stunning as well as unique, fine-tuned and also sophisticated, graphically polished and also advanced, highly powerful responsive innovative theme, a specifically made theme consisting actually on 28+ pre made demos, to fullfill any king of special website vizualization. This theme was created with a simple and clean look in mind, because what can be more original and creative than the simplicity itself! This theme can be used also for any creative purpose, because of the flexibility and diversity that compliments. With the innovative Setup Wizard you can install theme and demo data, including sliders and plugins, with literally One Click! It is likewise feasible to develop incredible full screen sections and pages, via the perfect created structure and coding. Croma is a creative and responsive WordPress theme dedicated to singers, music bands and musicians. With Croma, you will be able to create a stunning website for your music. It’s a perfect theme to promote electronic press kits, online stores and your beautiful music. In addition to giving you the capability to display your event and grab your visitors attention on one web page, the theme additionally has fantastic built-in assistance for blog/booking. Your site will certainly be completely responsive, efficient in showing and adapting content to any platform. Some Features/Plugins : continious audio player and music album, translation ready, hot links integrated, events and gigs manager, retina HD, woocommerce, easy menu builder, SEO. With Tower, there is no limit to what can be achieved. Your imagination will be the only factor that can limit progress. Every conceivable tool will be at your disposal, offering to upgrade your page’s capabilities, and improve the aesthetic quality of its design. In the online world, success is often represented by a high view count. That’s why we have created Tower. This demo it’s another demonstration of a simple and minimalistic look that can be created with Tower, perfect for any elegant showcase of your works. There are 4+ portfolio demos available, and some creative agency ones, so you can choose the one that suits you the best. Some Features : parallax, ajax and jquery animations and page loading, WPML, SEO, Woocommerce, video tutorials, extended documentation, custom sidebars, sliders and post types, unlimited color variations, powerful admin panel, powerful Bootstrap created, responsibility, high speed, CCS3, live customizer, fullscreen innovative sections, multimedia backgrounds sections. 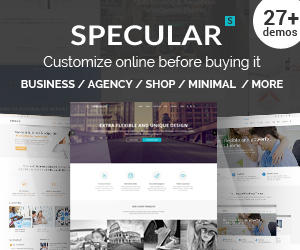 Specular, our theme, it can be used even for designers and other creatives purposes, as it is a multipurpose theme. Simple, micro and clean, this demo it is created to put focus on you art work. We desire you to obtain one of the most out of your Consulting business WordPress theme, so we provide individual assistance and updates. Specular loads the raw power as well as large pliability to seamlessly provide itself to a variety of diverse usages and also applications, making it an absolutely shape shifting theme. The theme could be also used as a one page site, blog, digital photography portfolio or gallery, company, realty, hotel, furniture shop, travel, clinical (healthcare), education, health and fitness, even church and nonprofit. Massive Dynamic is now a theme that is loaded with features in order to help you construct the best website for your job. It is advanced and also fashion mindful, technologically completed as well as deeply adjustable, versatile and practical, subtle and understated receptive HTML5 CSS3 one page Parallax multipurpose website template. By utilizing the Visual Composer plugin, you can drag-and-drop over 50 material components to create stunning web pages. The multipurpose theme, comes also with a demo dedicated only to artists and musicians. It is very new, but very loved by the customers and you should discover why! Some Features/Plugins : live text editor, video tutorials, real live website builder, mailchimp, woocommerce, go pricing plugins, master slider, high performance, RTL, notification center, five star support team, CSS3 animations, SEO, double sidebar. Lush is a fully customizable theme specifically tailored to the demands of musicians. This theme offers a nice system for blogging if somebody has an interest in the music sector, event company, band, information and also others too. Whether you are a painter, a carver, a musician or an entertainer, if you are producing artistic and innovative web content that should be produced into the world in a fashionable and lavishly presented fashion, Lush is the theme you have been searching for. It has incredible menu options that might assist you develop as well as efficient navigating menu for your visitors or target clients. Some Features/Plugins : one of the best selling music themes, 3D push menu, woocommerce, gigs manager and events countdown, audio player, discography, parallax, retina HD, child theme, SEO. One more gorgeous return to WordPress theme to create a contemporary receptive website for your personal profile. Nextop uses a classic dark skin, and includes a beautiful, full-width photo slider to quickly order a site visitor’s attention. This fashion creative agency theme includes a riches of Retina-ready, both one page and multipage discussions, which allow webmasters of any kind of ability degree to hit the ground running as well as easily create dozens of entirely polished websites within mins. 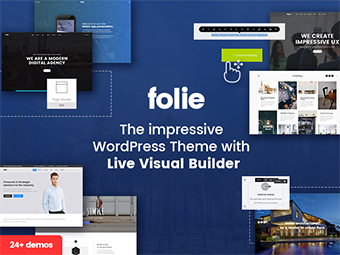 Some Features/Plugins : elegant creative studio, gallery art, master slider, WPML, child theme, google fonts, extensive documentation, advanced grid layout, powerful theme options, great support. The Mesh theme is all about music, bands and dance clubs. The integration with Tickera allows you to present a registration kind on the web page where visitors can begin the registration procedure as well as get their tickets. Mesh theme specifically excels as a Landing Web page web site template, with an imaginative, modern as well as level aesthetic style that is suitable for this kind of websites. It includes a constructed in Visual Composer that consists of over 40 web content obstructs that can be used by means of drag & drop interface. Some Features/Plugins : entertainMe event feature, selling tickets integration, non stop music player, drag and drop builder, WPML, ajax transitions, SEO, music albums, booking forms, events calendar, tickera plugin, social media sync, mailchimp, AddThis social share, photo galleries. VibeMusic is a stylish, tidy as well as contemporary WordPress theme constructed for flexible objectives such as bands and also songs internet sites. Having clean and modern design, this theme appropriates for any type of creative sites, whether it is a music-oriented or innovative web project. It is focused on imaginative specialists, musicians and also any individual else who might aiming to produce an online platform to display their work. Likewise, they include music gamers, picture visitors, as well as adjustable menu setting. This theme offers a good system for tour dates if someone wants the music industry, event organization, band, news and also others also. Some Features/Plugins : tour booking dates, PSd, html version included, woocommerce, WPML, management events and albums, fast support, SEO, unlimited colors, photo gallery, last news, discography integration. Artist WordPress Theme is an unique designed theme, specially created for the sketch artists and painters to showcase their work like never before , on a simple theme. It can also be used as a portfolio theme for writers and duplicate authors. It is meticulously handcrafted utilizing legitimate HTML5 and CSS3 coding to assist you remain abreast of the most up to date fads in site style. This theme features a mix of strong typography, loosened sketchy top qualities as well as hefty textures. Some Features/Plugins : sketch layout, browser compatible, pencil sketch design, filtrable portfolio, free sketch font, shortcode generator, easy to customize, SEO, HTML version, free support, simple theme options, custom widgets, PSD, grid system, extensive documentation. Themo is a pixel ideal creative multi purpose WordPress Theme based on Visual Composer created with terrific focus on information, versatility and performance. Certainly you could merely produce your own with the sector requirement ideal Page Builder, included in your purchase. This theme has powerful page layouts with several design options to provide you endless theme customization options. It comes with many creative studio, agency and architecture demos, you only need to choose. Some Features/Plugins : amazing parallax feature, intuitive interface, change layers to create custom animations, live customizer, advanced coloring, advanced features, modern design, SEO, custom lightbox, WPML, layer slider, VC carousel, google maps, the grid plugin. Wild Book is the perfect theme for writers and other artists of this kind. With a vintage and elegant portfolio look, you could actually feel the stories told by simple entering its amazing portfolio, just like a book. SEO assimilation and also optimization, consisted of, guarantees your web site will ascend the ranks of internet search engine electric motors extremely swiftly and also easily. Attention to detail, customer support, clean design make this them pretty loved by the customers. Some Features/Plugins : readable and content focused, SEO, customizer support, localization ready, related posts, child theme, crossbrowser compatible, author description box, galleries, custom backgrounds, easy setup, numeric pagination, social profiles buttons. Inkd. Tattoo theme is all about wearing your art, the tattoos. It is extremely reliable and it functions terrific on home computer, tablets and also mobile phones. This theme is well-known for its posh and also stylish design, which makes your website appearance apprehending and also engaging. As you play with your blog site’s functions as well as settings, you may instantly preview the possible changes. This theme features an attractive one page parallax variation which can be made use of as default one or changed with multi web page setup which is a lot more typical. Some Features/Plugins : one page stylish theme, drag and drop design, easy to use page setup, custom post types, google fonts, great support, booking modal, CSS3 transitions, parallax, google map, sample data included, calendar design, jQuery modal window. Piñata is a vibrant and fun WordPress portfolio theme for creative professionals. Choose from a wide variety of homepage and template designs to get the perfect fit for you. But continuously advancing technologies continuously boost the aesthetic abilities of internet sites, upping the ante in regards to creative opportunities to stick out from the crowd. This colorful and vibrant theme is excellent for artists, freelancers as well as creative agencies who would love to showcase their product with a fun design. The appealing vibrant design will certainly give your web site fresh as well as crispy appearance. Some Features/Plugins: woocommerce, mikado fullscreen slider, parallax, pinterest portfolio style, side area, twitter and instagram social widgets, many shortcodes, team slider shortcode, mikado search, powerful typography, smooth scroll, WPML. 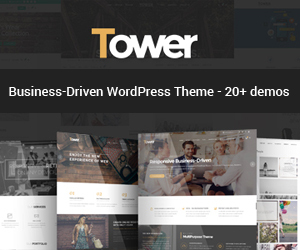 A basic and also clean costs WordPress theme with a responsive style. Certainly, with Marble you will be offered full creative control, resulting in a web page that precisely represents your vision. This theme is perfect to showcase any type of creative work, in a simple and clean way. On the homepage there are web links via to blog posts which display in overlays, videos and also occasions. Some Features/Plugins : featured theme on Themeforest, SEo, woocommerce, speed optimization, re order portfolio, WPML, Ebor shortcodes and Ebor CPT, drag and drop, 5 star support, WPML, flat design, PSD, pricing tables, filtrable portfolio, jQuery enhanced, dedicated support. Lucille is a WordPress theme designed for Music bands, as well as musicians generally that desire to have a cutting edge layout and terrific features for their band web site. It is a very adjustable, responsive and also very clean and stylish. You obtain the usual personalization options using the indigenous Theme Customizer, yet not a larger array of choices through a dedicated theme choices panel. Though the fact that this theme is very new to the market, it has already many satistfied customers. Some Features/Plugins : drag and drop builder, woocommerce, preview color changes, different menu styles. translation ready, album post type, event post type, photo album post type, ajax contact form, changeable full screen background, SEO. This theme is ideal for bands, artists, musicians, DJ’s or any type of one else wanting to display audio content. One of my favored categories, WordPress themes for the Personal Blog writer, is no exception. Colibri is the ultimate theme for musicians, with an amazing parallax feature and innovative design, this is on the top of the creativity and for sure the theme you are searching for. It is first of its kind to be such an elegant and yet modern like theme, but you need to see it by yourself and be impressed. Some Features/Plugins : soundcloud integration, ajax integration, animations, parallax, redux framework, mailchimp, intagram and twitter integration, BandsInTown plugin, SEO. Notio is a clean and also minimal WordPress Theme, built for your corporate/portfolio site or your individual blog. The theme options panel allows you easily established a custom logo design and also customize the format. Notio is entirely Retina Ready, so it looks great on Retina Displays. The documentation of Notio is well explained so you don’t need to have coding skills. Other key features include compatibility with most browsers, full responsiveness, and an awesome Revolution Slider plugin. Some Features/Plugins : woocommerce, WPML, RTL, SEO, custom widgets, 600+ google fonts, child theme included, focus on typography, RTl, SASS and grunt files included, drag and drop elements, enhanced performance for viewers, 5 star customers support. Contrast is a modern photography oriented theme. With its amazing horizontally scrolling photos and posts feature and incredible cool hover effects, this themes will be fun to work with. This incredible photography theme is constructed with tidy as well as legitimate HTML5 and also CSS3 codes to assist your site equal the current internet requirements. The full screen slider works nicely for those who want to show off large images or promotional banners, while the full color control offers the ultimate branding environment. This theme is also incorporated with galleries as well as allows you to show residential properties in checklist or grid sight. Some Features/Plugins : has received an Honorable Mention on market awards, photo galleries with awesome animations and hover effects, RTl, flexible portfolios, WPML, woocommerce, bulk gallery, SEO, SoundCloud supporte, custom widgets, accordion slide, grid jquery plugin, lightbox. OnFleek is an innovative magazine wordpress theme, AMP ready, that can be used also for musicians to book their tours. Include your personal touch to this theme! It makes structure and also managing a website really easy, thanks to its detailed guidebook and also clean code. You can set up your web site in mins, and also a comprehensive admin panel enables customization of everything from your header design, to picking from an abundant number of menu alternatives. It’s responsive, modern and faded colored design will for sure grab the intention of your customers. Some Features/Plugins : google AMP, speed optimization, 5 star support, multiple advertising area, ads widgets, boxed and framed layouts, clean coded, AMP(accelerated mobile pages) support, easy to use. Grafik theme is all about wonderful, clean, stylish, modern design for design portfolio, architecture portfolio, web layout portfolio, architecture, blog as well as software application portfolio sites. User friendly powerful admin user interface, One-click import of demo site, tons of creative house and internal web pages, big collection of custom-made shortcodes, special menu effects, several personalized layouts for portfolio, several customizable layouts for portfolio single, creative blog, beautiful elements, trendy portfolio lists, video backgrounds, parallax, etc are just a few of the features of the theme. Created by a power elite author, Grafik is a professional theme that features good functionality, expect of the good looking design. With a very refined, expertly created collection of curated, fleshed out demo websites for all kind of broad and also slim applications conceivable, you are marketing products directly to a wide, separated as well as large on the internet audience. Some Features/Plugins : innovative project presentation, trendy portfolio lists, showcase pages, animations, side area, parallax, SVG icons animations, shop pages, grid layouts, smooth page transitions, SEO, child theme. Whether you are introducing a creative firm site, an ecommerce shop, a business site, a blog or portfolio, Mango is the ultimate device for developing immersive web sites. It was produced to offer you as a portfolio, photo-gallery as well as blog builder theme. Its powerful options panel permits you to organize and customize your site in a few minutes. Showcasing a modern and fully receptive design in light and dark variation, with numerous layouts and background patterns, the finest receptive Mango theme, is perfect for any kind of art work. Some Features/Plugins : creative shop, clean code, unique header, hover effects, great support, creative gallery, showcase projects, SEO, woocommerce, ajax mini cart, blog pagination, 24/ support, sortable portfolio, intagram widget. Red Art says it all by his name: a theme to showcase your art, photography, creative work with a real feeling on it. Established with digital photographers, layout workshops, and other creatives in mind this theme is ideal for showcasing a large amount of job in a minimal or large format. It is an intelligently created and thoroughly well developed site template capable of exceptional, feature-rich and also visually stunning results within minutes, with no coding abilities needed. The stylish selection of colors and elements in the will certainly make this design template helpful for you. Red Art WordPress theme is highly adjustable as well as has all the features you should obtain your site up. Some Features/Plugins : dark and light skins, awesome header variations, Woocommerce, parallax, tons of shortcodes, in built mega menu, custom addons, 7 types of galleries, video tutorials, mailchimp, style picker. Venus consists of a really robust collection of Advanced Theme Options in the sophisticated Admin panel and it has actually been packaged with a wide range of minimal, versatile and extremely original page templates and also formats, including a number of touchdown page design templates, that make Venus an amazing, suitable theme for a minimal agency, freelance, architecture, store and blog web site. This theme is very adaptable with limitless color variations, over 500 different font styles and also numerous message styles for video, gallery, quote as well as parallax effects and many navigation filters. Utilize the blog to showcase the occasion, area info and also keep your visitors notified concerning your one of the most essential day! Some Features/Plugins : retina ready, woocommerce, SEO optimization, custom grid, masonry layouts, parallax, SEO, google fonts, ajax filters, easy to use, portfolio with infinite scroll, custom grid. Some Features : multiple header, drag and drop, pricing tables, Woocommerce, team carousel, skills box, social share, easy import, 18 pre created demos, performance. Musicians should definitely see this solid advertising and marketing approach and a well-designed, well implemented, WordPress theme. FWRD is on top of the best selling music themes on the market. A fully responsive web page design template to deal with couple with customizability with concerns to web page title, the header and also the background. This gorgeous wordpress theme is packed with attributes to make certain to personalize your style web site to your requirements. Some Features/Plugins : parallax, essential grid, hot links, events and gigs manager, audio player and music album, woocommerce, WPML, unlimited colors, child theme, 3D push menu, ajax paging system, events and audio player shortcodes, SEO. Art Portfolio is a robustly created, versatile and also powerful WordPress creative portfolio theme, constructed to satiate a crave unique, responsive, liquid, flexible WordPress internet site themes that are both intuitive to use and also efficient to showcase you works with the most elegant way. It includes a range of background as well as shade alternatives, portfolio customization etc. Portfolio themes are developed to assist you produce an impressive impression for employers and enhance your portfolio’s online visibility and this theme compliment all of the good qualities of a beatifull portfolio. Some Features/Plugins : unique expanding gallery, youtube and vimeo videos integratioon, woocommerce, dedicated support, WPML, layer slider, SEO, optimized code, custom google maps, minimalistic design, RTL, video backgrounds, 100+ interactive elements. Pastel Floral theme has a warm floral design with special wood and paper textures decorated with flowers and plants. There is also a hint of retro theme with hexagons and copper tones.This design would suit personal blogs creative industries like florists home made goods photography clothing online portfolio children authors and craft. The Pastel Floral theme as created with simplicity of usage in mind. This theme is really fun to work with and it features a clean and simple backend code structure. Some Features/Plugins : hand painted theme, page builder, 5 star reviews, easy sidebars, hexagonal blog images, easy installation wizard, no complicated frameworks, font customizer, woocommerce, SEO, step by step installer. Virtuoso is an art-business oriented theme. It was produced with various niches and also careers in mind, blog owners, on the internet stores, lawyers, firms, wedding planners and more. Depending upon the sort of designer or artist that you are, you might not have the required internet development abilities to construct your personal on-line portfolio (or maybe you just don’t have the time), but with Virtuoso theme you can create the website you want without any coding skills. Some Features/Plugins : woocommerce, translation ready, animations on elated slider content, animations holder shortcode, dark and light logo, parallax, child theme included, SEO, creative business design. When you mount Zephyr you are supplied with a variety of theme options that you can change to your preference, ranging from the header to a coming quickly page. Also consists of some awesome expansions such as analytics, Search Engine Optimization, Page Builder and Backup. The retina ready display screen assurances that any kind of picture that is watched will be a top quality one. Various other things that can be shown on your homepage include a newsletter signup, a photo gallery, valuing information, call forms, feature lists, and also quotes and comments from your application individuals. Depending on your resource material, your theme will either prepare to go or need some modification. The Visual Composer is one of its valuable attributes as it allows developers to conserve you lots of time dealing with the site content.